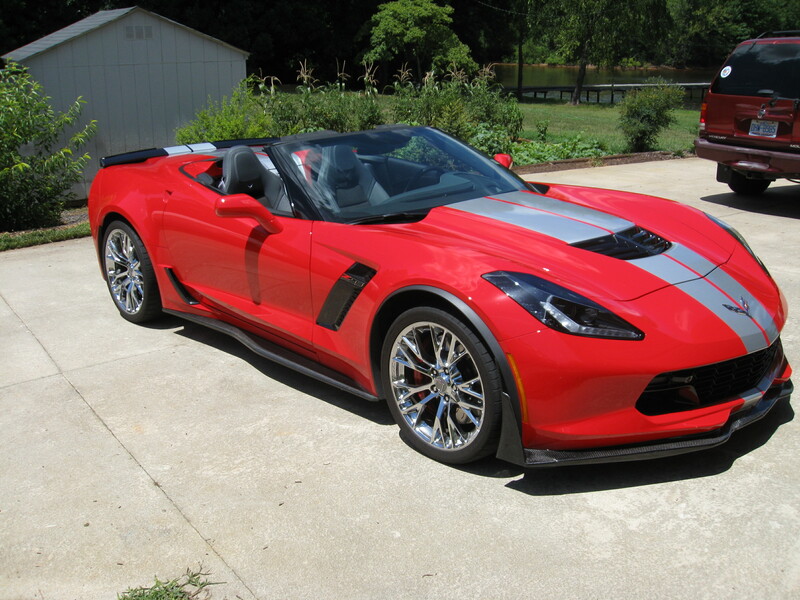 C7 convertible buyers and those C7s equipped with M7 hit the jackpot. I don't care how rare it is or what the future holds, I live in the present and I love my M7 Z06 vert. Might be wishful thinking, but I hope they run the C7 in parallel with the C8 for a while. No manual transmission = not a sports car in my book. The fact is, none of us on the forum know exactly what's going on. Neither does Car & Driver. I'm pretty sure it was Car & Driver that said the ME car was going to be introduced in 2016 as a MY 2017 car and we all know what happened to that prediction. There are indicators that the manual transmission is going away due to declining sales. On the other hand, maybe GM realizes they can segment the market by being the only ME car with a manual. Either way, I'm glad my C7 has a manual transmission because it's fun that way for me. There are indicators that the manual transmission is going away due to declining sales. On the other hand, maybe GM realizes they can segment the market by being the only ME car with a manual. If GM touts that to their public as a reason for scrapping the manual, I don't want what they're serving. Granted, all sales will decline as the years progress and percentages would as well. All vehicles are guilty of that once the generation "settles in". But it's still well above the national average. I think the Z06 alone still has a cumulative production clip of 33% (1 out of 3) since being released for the 2015 MY. I can see them pulling the plug if it was like 3-5% production for all of the makes, but there clearly still seems to be demand for it. They can really capitalize if they go the exclusive route like you said though. That would really be interesting. I would be really surprised if GM doesn't come out with a convertible at some point for the ME car. 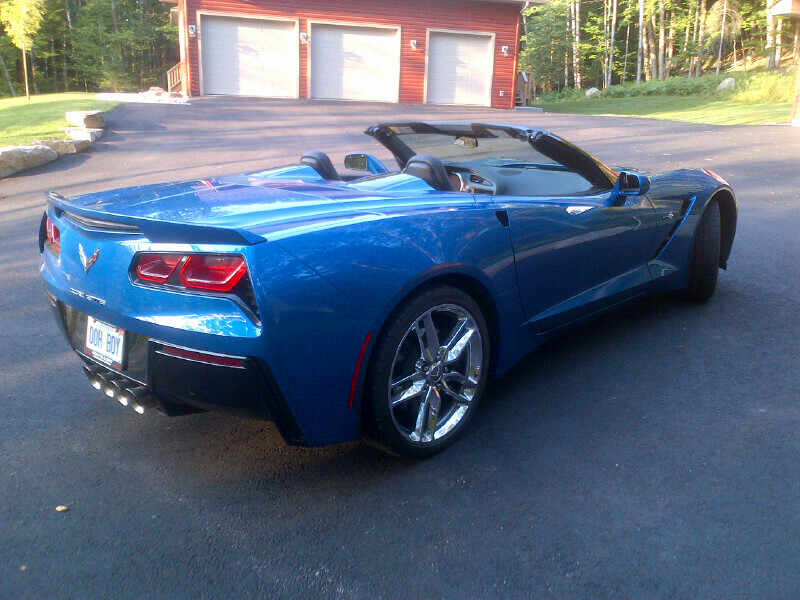 But if they don't, the guys with the C7 convertibles got themselves a keeper. Manual transmission has really reached the end of the line and GM is just following the industry trend. The guys with the M7 C7s should be happy (myself included!). I will eventually move on and buy a DCT or whatever advance auto that's available to get with the evolution, but the M7 will always be special. I predict that once the news becomes official that the next Corvette will only be available in auto/DCT, there will be a rush of orders and sales for M7 C7s. The C7 M7 vert is indisputably a rare car among the endless sea of automatic coupes for sale. What will this mean to the bottom $ line on our individual sales days? Will we then be rewarded, or excoriated by the sale $ number? Millenials can't drive manual transmission cars. They don't even know what a lug wrench is. They sure do! They call them Ferraris, Lamborghinis, McLarens, Porshes, and Formula 1 race cars! The c8 will have to be exceptionally special to earn a sale to me if there is no manual transmission available. I’ll probably either keep my 2016 Stingray, or look for a newer Z06 with the 7-speed, on the used market. A DCT with paddle's and the option to shift from the gear selector would be perfect if no manual option..
Hopefully you are not trying in any way to compare those "automatic transmissions" in the models you noted to the slush box auto in the current Corvette. Good point. For the time being, there are seemingly enough sales of M7s to warrant its continuation with the Corvette, and for the Corvette buying community. 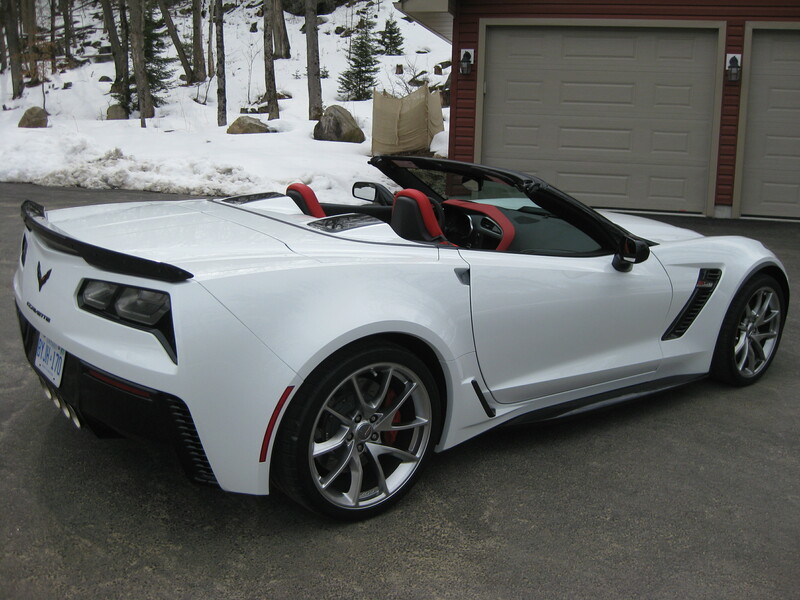 To compare the Corvette in only this regard---manual trans-- to other makes is not accurate. The others sell too few cars in total. Still, it is a trend in the auto industry to get rid of the manual trans option. It wouldn't surprise me if someday it's gone for all Corvettes and in its place some form of decent auto-manual trans. As to ME and convertible, it depends on what they are planning for total annual sales. If it's low, no convertible. And I still think the jury's out on if the C8 is an ME, or if there are two models: an FE and an ME at the same time. Which goes back to "roads" post above about the accuracy of inside info from C&D magazine. The next Corvette will definitely be a ME the one big remaining question is will the FE version live on in parallel to the ME. Manual C7 convertible is my only way to fly! I think there is a lot of wish full thinking out there, but I doubt my M7 Z Vert will be worth much. I bought it to drive, so if it has a 100K miles by the time I get rid of it & if there is no manual Vert to replace it with, I have had my last Vette. I don't think anyone here is suffering the delusion of thinking those of us w/ manual convertibles are sitting on gold mines. The point here was exactly the same as yours. They are relatively hard to find, and if you have a good one, you're lucky to have it to enjoy, not sell. It they truly are going away soon, then we will likely keep them even longer. Last edited by Foosh; 04-13-2018 at 08:40 PM. Interesting, but not quite sure what the jackpot is? 80% of sales are automatics, so the 20% (which continues to decline) buying manuals will be the same small group buying from other owners of manual transmissions--hardly a jackpot. It also means they will not progress and enjoy advances beyond the C7 gen. This is not a Barret Jackson auction for a rare car. Doing away with the manual doesn't surprise me, but doing away with the Vert? Interesting that the current BMW M5 is only offered with an 8 speed automatic and AWD. They dropped the previous DCT. The BMW purists are having a hissy fit but the current M5 is the quickest one yet both in a straight line and on the road course. Manual trannies are in a death spiral. Quick Reply: C7 convertible buyers and those C7s equipped with M7 hit the jackpot.